An experienced commercial insulation company can help you save on your energy costs, keep the air healthy and reduce noise levels. Applying the right combination of products in the correct way is the key. Call now and learn the many ways your facility can benefit from foam board, fiberglass, blown in and spray foam insulation. Our experienced insulation company will apply the right type and amount for each application. Did you know commercial buildings waste almost one-third of the energy they use? Doors that open constantly, drafty windows, old construction methods and previous build outs can all take a toll. Contact us for a free energy audit and estimate on commercial insulation services. Whether your facility is on the drawing board or passing the century mark, it is the easiest way to save energy and ensure comfort. Commercial insulation works with HVAC and air sealing solutions; this total air quality management package reduces many types of pollutants, moisture and uneven temperatures. It will help you avoid sick days and complaints by creating a healthy indoor environment. Contact us whether you have retail space, offices, a hotel or any other type of building. We know what materials to use on every application and minimize risk to the people who use your facility. You want to balance R-value with space limitations. Spray foam insulation works well in attic space and in oddly shaped areas, but it may create too much pressure within walls. Blown in insulation works well for horizontal surfaces, but can disturb operations when it’s placed in a wall. Below-grade space – This area can waste a lot of energy. While you are limited in what you can do to a concrete slab, wall insulation can be a good solution. It is far less costly than floor elevation. We’ll help you carefully weigh the savings you want against the space it might take up. Your roof – Foam insulation attached to oriented strand board can be installed in an existing wooden roof or a new application. We will ventilate it properly to prevent condensation. Closed-cell spray foam acts as both a weather shield as well as in insulator. Blankets on the inside are easy to install and won’t fight the aesthetics. 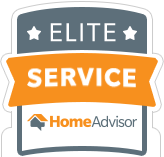 Let’s discuss your options during your free estimate and onsite consultation. Masonry walls – Rehabbing old industrial space for new offices continues to be a popular option, but the cost of retrofitting can seem off-putting. Brick can’t be insulated with spray foam or blown in insulation within. But we can help you decide whether adding foam board and a covering to the exterior or interior is the right solution for you. Piping –You can lose a lot of heat from HVAC and plumbing pipes. We can apply a wide variety of fiberglass and foam insulators to keep pipes from freezing or creating unwanted thermal transfer. You will find that we manage every phase to the highest standards. Quality control and labor management are hallmarks of our commercial insulation projects. Our work meets all building codes for Connecticut and New York. We skillfully coordinate with other trades involved, handle all the prep and finish, and leave behind a site that is pristine. Interruptions to your schedule are minimized and your tenants are notified of what to expect. And our highly skilled technicians will complete the work on schedule and within the estimate. We offer commercial insulation in Fairfield, Westchester, Litchfield and the surrounding areas.